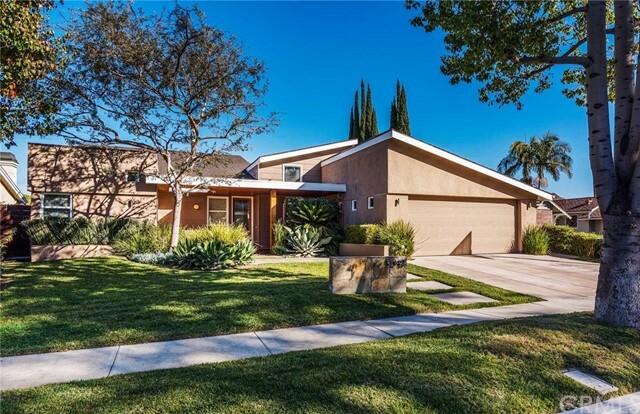 All Rossmoor homes currently listed for sale in Rossmoor as of 04/25/2019 are shown below. You can change the search criteria at any time by pressing the 'Change Search' button below. 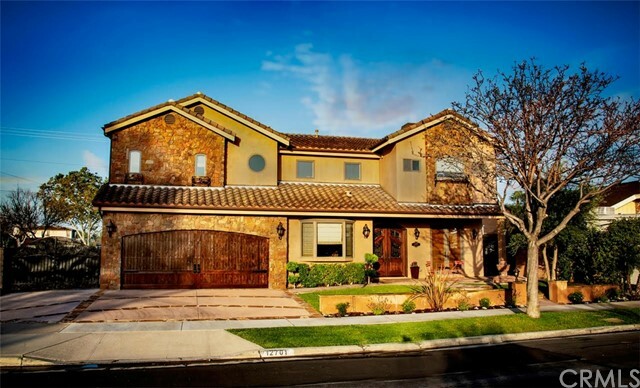 "Stunning 5 Bedroom, 6.5 bath Estate Home situated in the Heart of Rossmoor. Luxurious amenities create a refined and exquisite ambience. Spacious secondary bedrooms with their own en-suite bathrooms and one located downstairs. Expansive master suite is equipped with private balcony and oversized walk in closet. Impressive master bath has marble dual vanities, a large shower with dual shower heads and separate soaking tub. Enjoy the kitchen perfect for a chef that includes a Viking 6 burner plus grill gas stove, top of the line SS appliances, 42 built-in refrigerator as well as a prep sinking microwave on island. Kitchen also has a large breakfast nook and breakfast counter bar opening to a great room with raised hearth fireplace and built in media center. Elegant formal living room with sweeping staircase and formal dining room large enough for family gatherings. Enjoy a private office that opens to a patio and with its own entrance. To complete this stunning Estate enjoy an outdoor retreat bonus room with bath, perfectly planned for guests and or a Mother-in- Law suite. 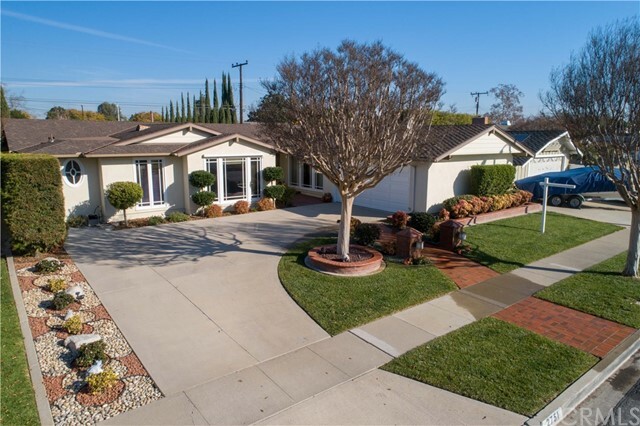 Professionally landscaped/hardscape large backyard. Plenty of room for a pool and grassy play area. 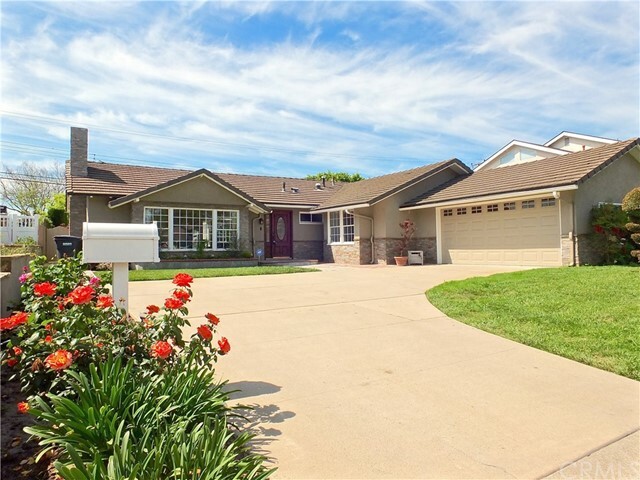 Walk one block to school and to Rossmoor Park. 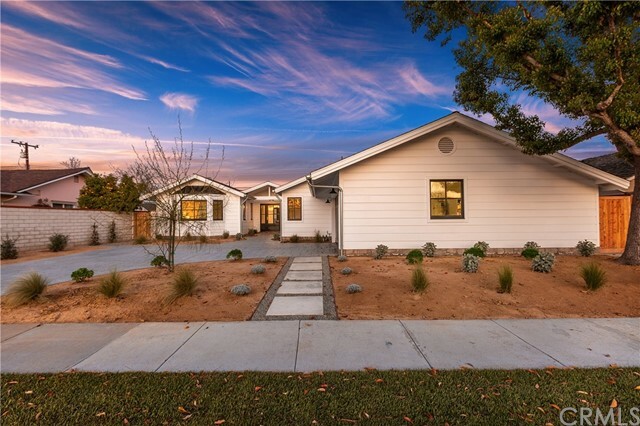 This 10+ floorplan makes for a wonderful place to call home. Enjoy the close proximity to restaurants, beach communities. 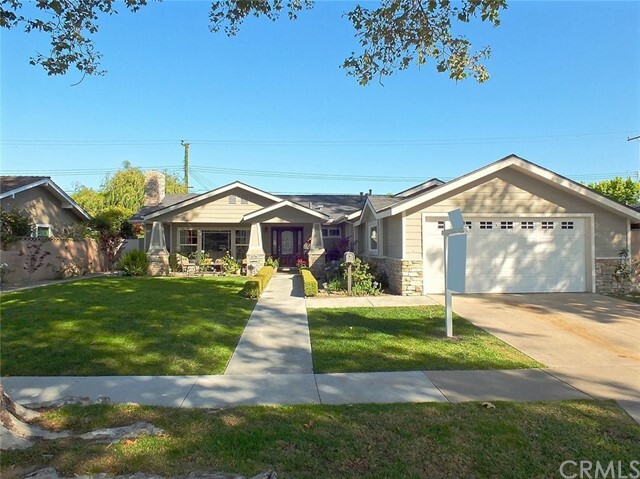 Rossmoor is an easy commute to both LA and South Orange County." "Welcome home! 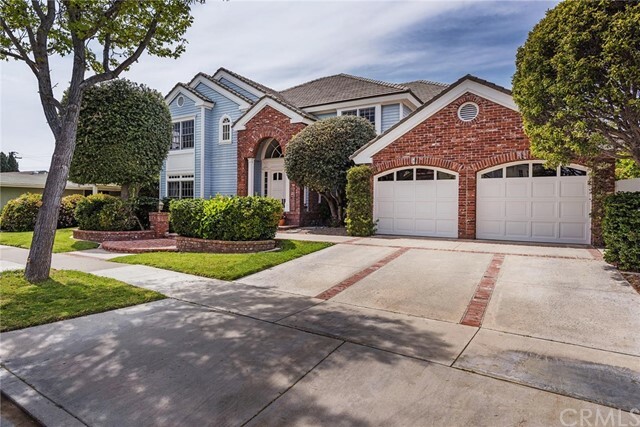 Defined by its elegant Tudor architecture, this turn-key, luxury, Rossmoor home, has impeccable craftsmanship evident throughout. 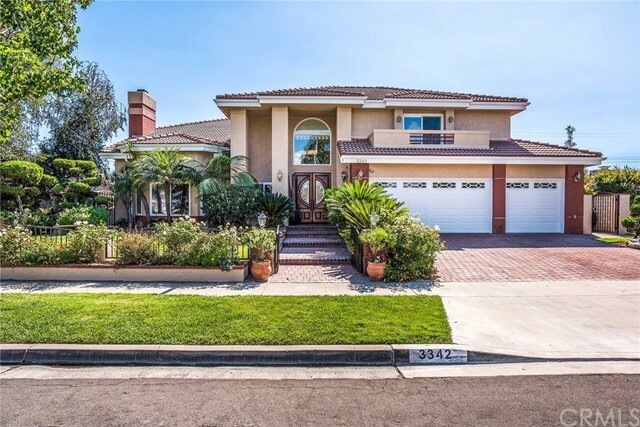 4,396 sqft, 5 beds, 4 baths, on a 7,665 sqft lot. 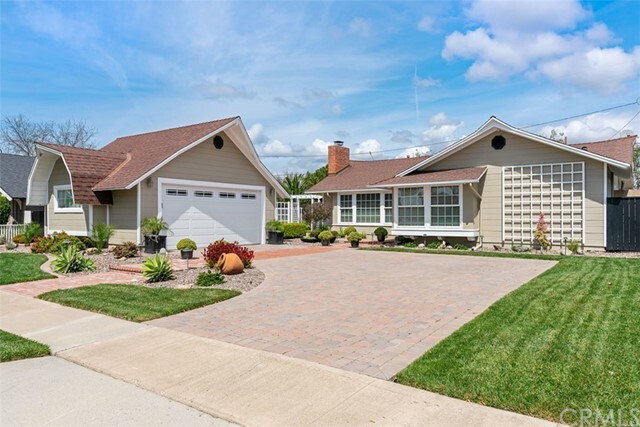 The large driveway is complemented by a 3 car attached garage. The grand entryway with stone & double wood doors opens to beautiful wood flooring, running throughout the home. Off the foyer a split level great room is highlighted by floor to ceiling bookcase with roller ladder & stone-faced, dual sided, fireplace. Travel through the foyer to the fabulous gourmet kitchen complete with limestone floor, stainless Viking appliances, granite center island & counters. 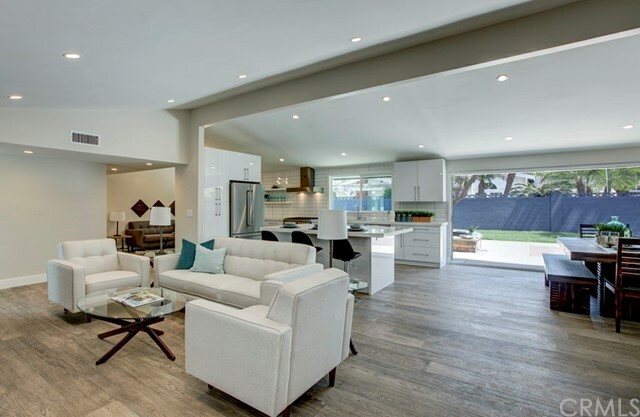 The open plan kitchen/family area boasts, open beam wood ceilings, formal/informal dining spaces & views of the backyard. 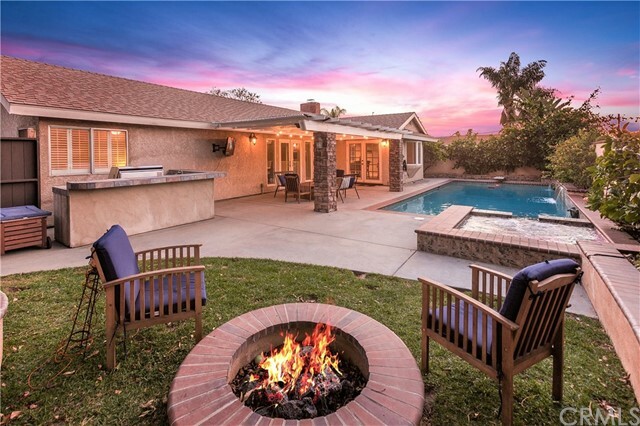 The backyard features newer hardscape, a pebble-tech pool & natural stone waterfall features. Downstairs has a second master suite with an updated bathroom. Moving upstairs the stairway is extra wide giving it impressive scale. The master bedroom features a beautiful sitting room with balcony access. Balcony has auto retractable awning & views of the pool/backyard. The on-suite master has a dual vanity, walk-in closet, dual shower heads, bidet, power skylights & dry sauna room. The second bedroom upstairs has an adjacent updated bathroom. The oversized bonus room features a wet bar & soaring wood beam ceilings. Dual zone updated A/C. 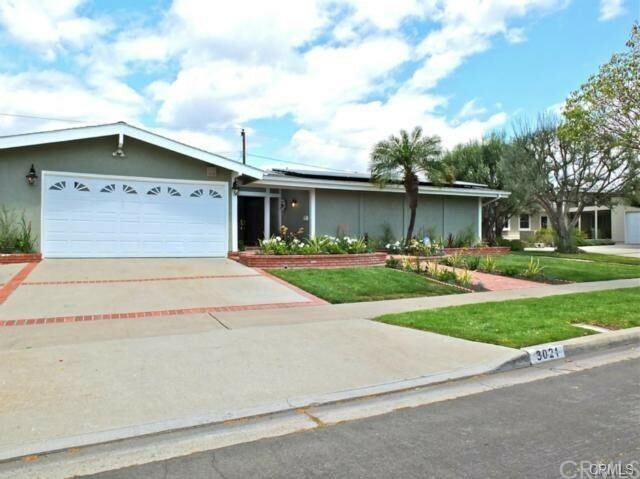 Located in the highly desirable L.A.S.D, close to Parks, Library & Shops." 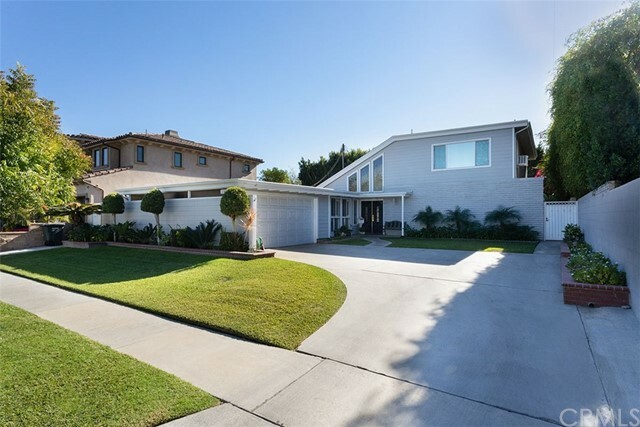 "Custom Rossmoor four bedroom pool home! 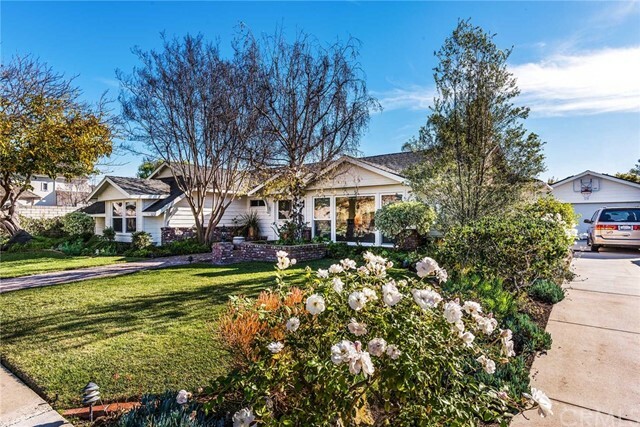 From the front landscape and elegant extended front porch entry, to the light, bright, and airy open floor plan this is that 'Perfect Rossmoor Fit' you have been longing for! This home features designer touches and appointments throughout; a separate entryway living room with wood-burning stone fireplace and fabulous picture window; an open and specious gourmet kitchen with breakfast bar, custom cabinets, and open pass-through to family room; a gorgeous, private and quiet backyard setting complete with custom hardscape, pool, and water features; a separate and specious family room --also with custom fireplace and views to entertainers' backyard! 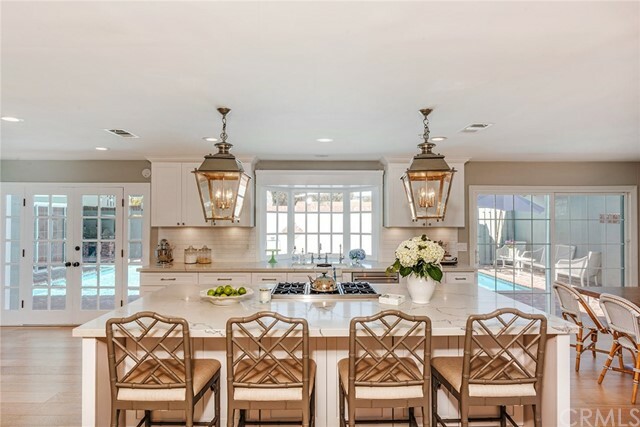 This home also features central air conditioning; a child safety pool fence; an above-ground jacuzzi spa; recessed lighting; spanish plantation shutters throughout, and so much more. And kids! 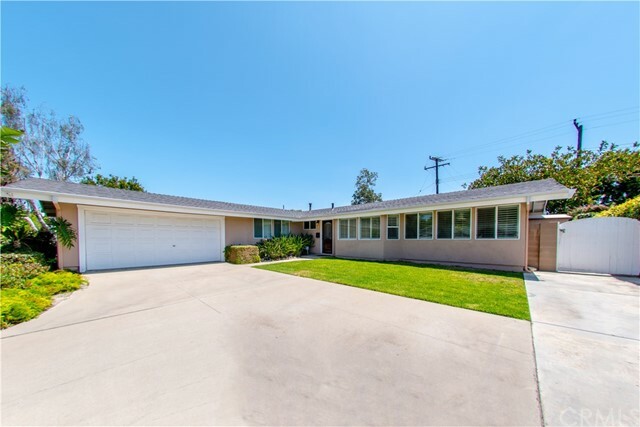 Walking distance to Rossmoor elementary schools in highly-regarded Los Alamitos school district!" 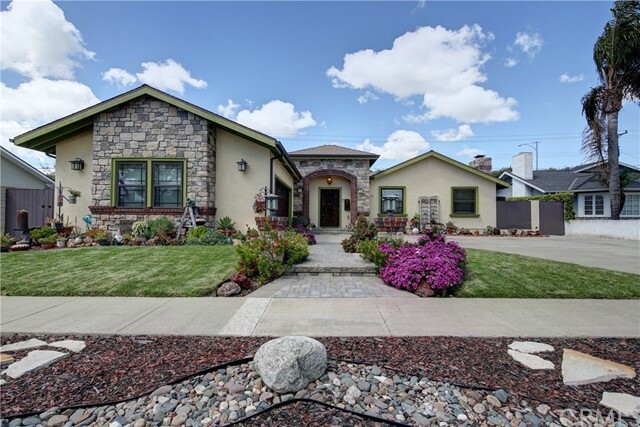 "Welcome home, just in time to enjoy summer with this lovely pool oasis! 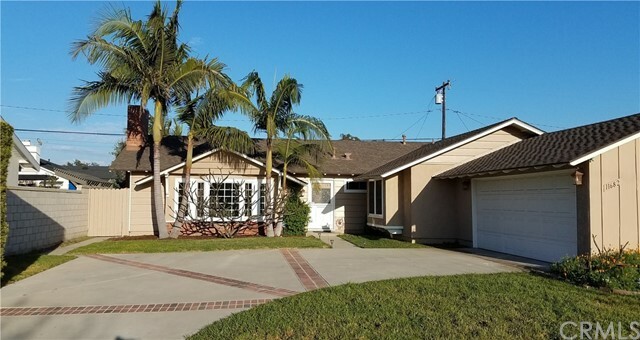 The 2,200 Square foot 4 bedroom , 3 bathroom home has been freshly painted. As you enter the home, you are beckoned by the fresh and salt water pool. 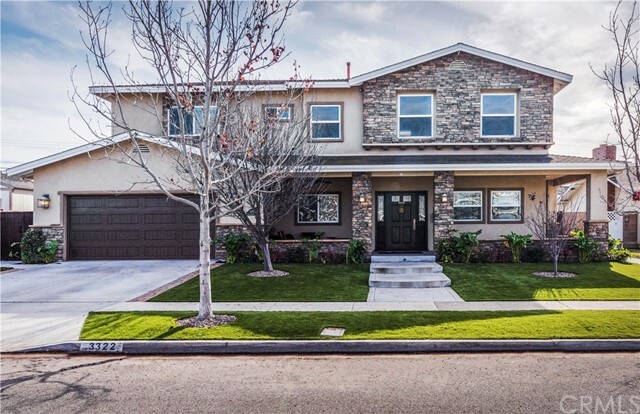 The green and blue stone work you see from the front door is the perfect backdrop for the three cascading waterfalls or enjoy the Jacuzzi to the left or the fire pit with friends to the right of the yard. 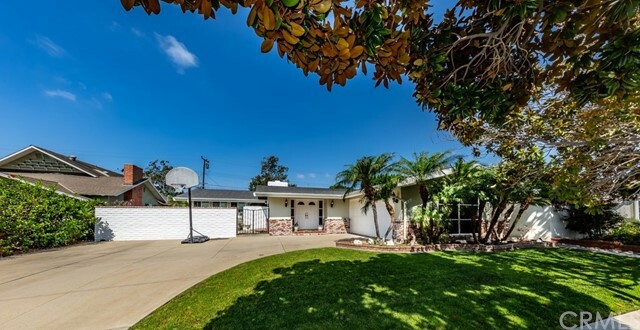 Amazing Los Alamitos much sought after school district, move right in to this one and make it your own!"